Advertising space on our community digital sign can be purchased below. Make sure to review the sign dimensions and policies below before checking out. Fill out the form below. After you make your purchase and checkout is complete, you will receive a receipt email and then a member of our chamber will reach out shortly to confirm and to collect additional details. 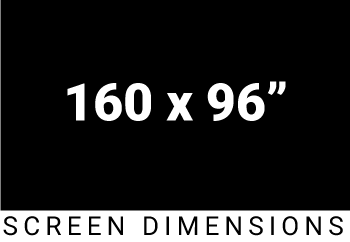 Upload the file for your fully designed high resolution graphic to fit 160x96" sign dimensions. 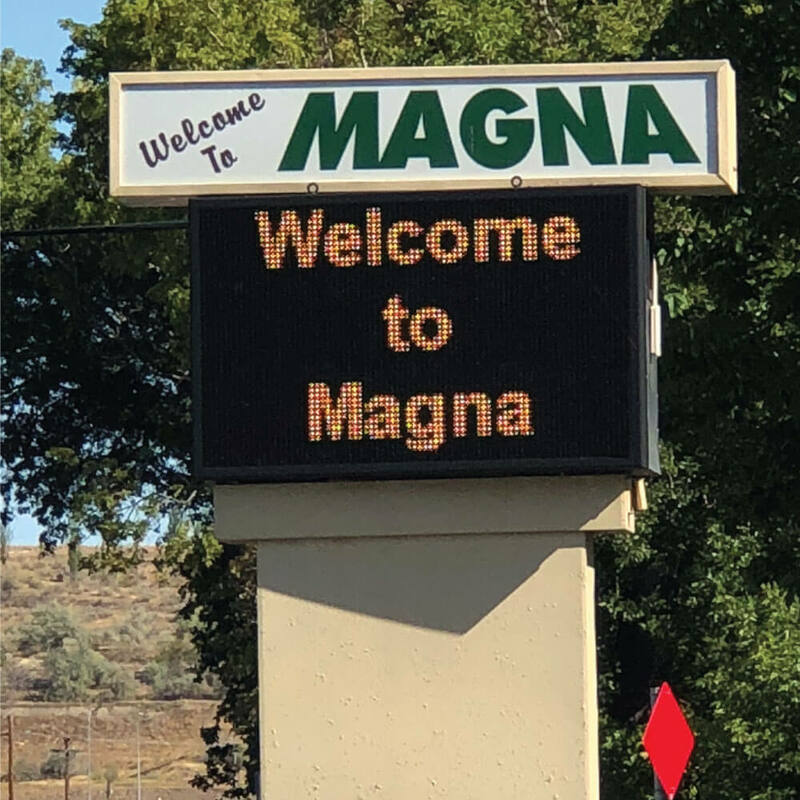 Please upload a logo file as you want it to appear on the sign. Make sure that it is high resolution to ensure the best quality. All sign request must be approved by the Chamber and be family friendly/community appropriate. All advertising orders must be placed at least one week in advance of desired placement. All advertising orders must be paid in full one week prior of desired placement. Logos, graphics and any information must be provided by requestor. 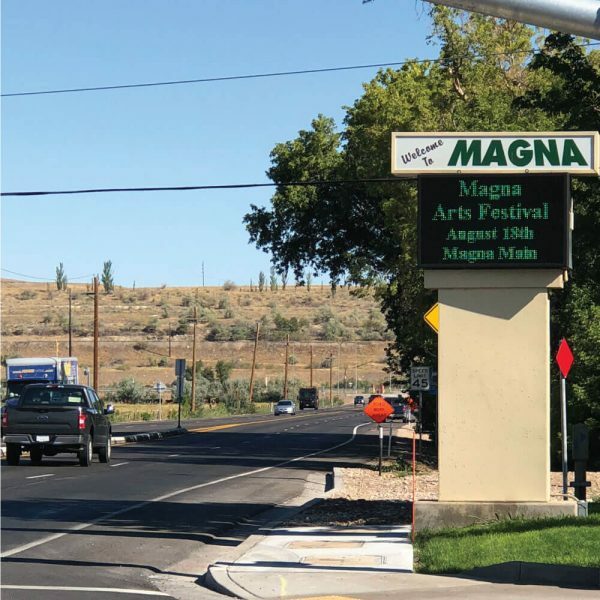 The Magna Chamber of Commerce reserves the right to modify graphics to fit sign and ensure clear resolution on display. Some graphics do not translate clearly. You will be notified with options if your graphic is unusable. 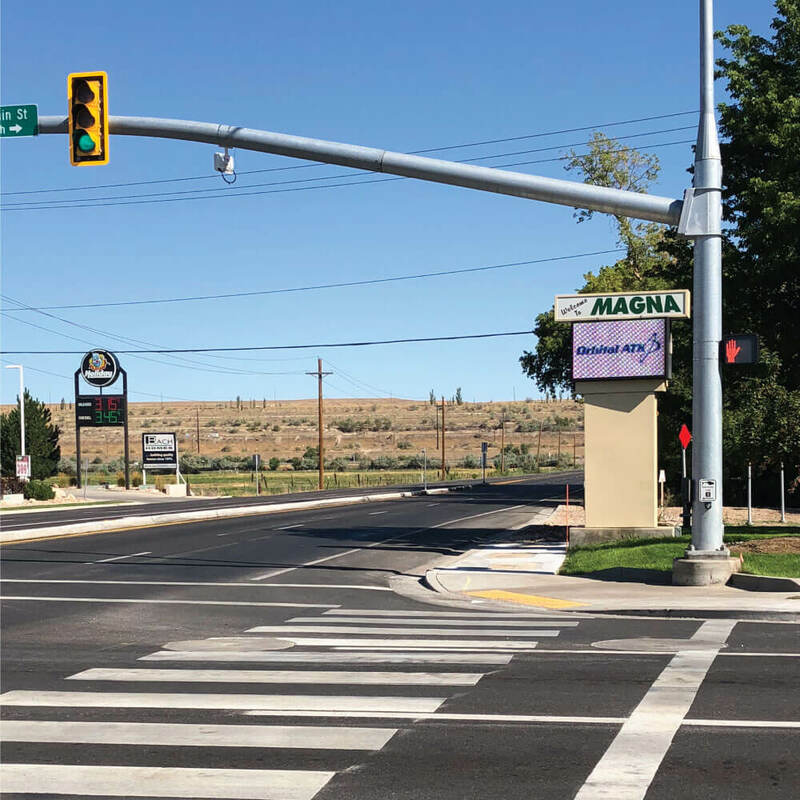 The digital sign will be updated every Sunday before 9:00 pm, unless a request for a day minimum has been made or an update has been approved by the board. The Magna Chamber of Commerce is not responsible for anyone objecting of approved content. The Magna Chamber of Commerce reserves the right of refusal for any and all digital sign placement requests.